Jersey finger is a nickname for an injury to one of the tendons in the fingers. The injury usually occurs when the tip of the finger is suddenly extended as it is trying to flex. 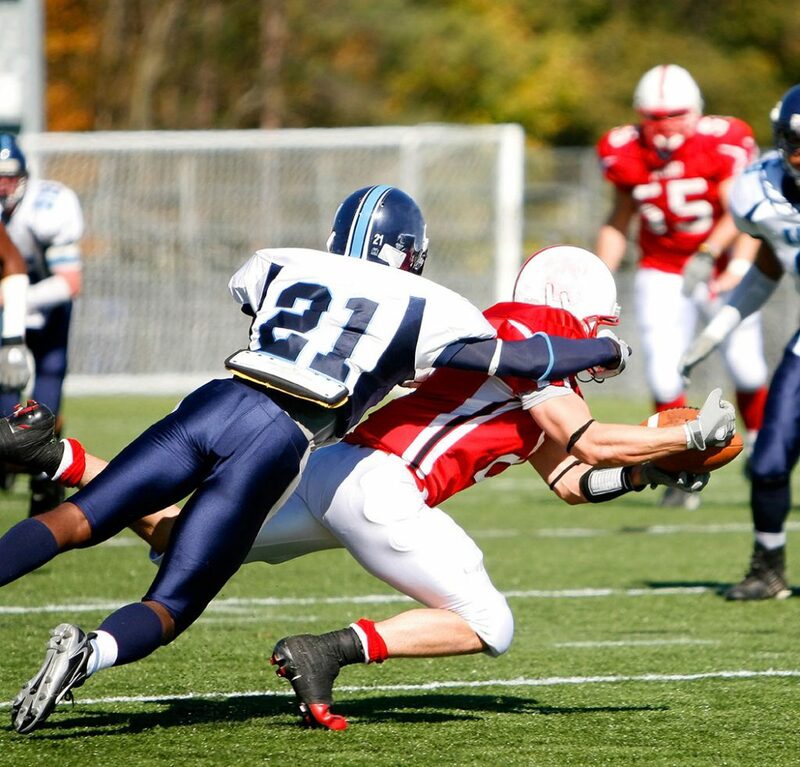 The most common example of this type of injury is when an athlete, such as a football player, goes to tackle another player. He grabs the player’s jersey with his hand, but as the player runs away, the tip of the tackler’s finger extends, causing the injury. This mechanism can cause the tendon that bends the tip of the finger down to pull off of the bone, or the tendon can pull small piece of bone off with it. The injured athlete will often present complaining of pain and swelling at the tip of the finger and inability to bend the tip down. Examination will often show tenderness on the palmar side of the finger at the tip, often with some bruising and swelling at this area. He will usually have an inability to bend the fingertip against any resistance. Although it may be a simple tendon injury where x-rays are normal, x-rays are usually taken to determine if the tendon pulled off a small piece of bone. Treatment almost always requires surgery, as the tendon will usually pull back either into the palm or down further into the finger. The tendon has to be brought back into the correct position and reattached. Surgical treatment usually prevents playing sports anywhere from 6 to 12 weeks, depending on the type of repair and the sport the athlete plays. While this injury might seem minor to the athlete, parents, or coach at the time, it is critical to seek evaluation right away by a sports medicine physician or hand surgeon, as this injury is very difficult to treat several weeks after it has occurred.